The great thing about science books is their ability to pique the interest of the reader. From the vast depths of space to the intricate laws that govern the world we live in, a good science book can be the beginning of a lifelong educational journey. The best time to start reading about the vast topic that is science is right now. To help you source the best science books for kids, we’ve compiled a list of the top 25. All of our science books have been handpicked and independently chosen by the folks behind Gifted Geek. How Things Work is an excellent science book that goes beyond theory and takes a visual approach to explain how everyday things work. 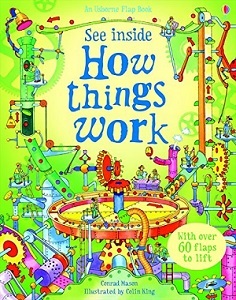 From huge machines to intricate inventions such as the light bulb, this book is a great way to connect a young mind to the world around us. This book is the perfect introduction to science, let your child see how science affects every aspect of life. British scientist Robert Winston has released a true masterpiece in Science Experiments. 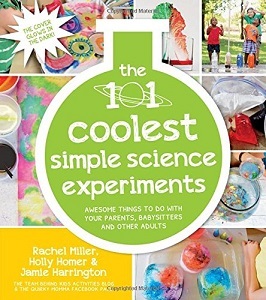 There are dozens of experiments that can be done at home and the book has detailed instructions, including over 300 high-quality photos to help you along your journey. 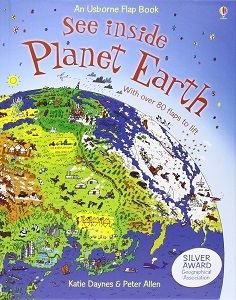 This is the ultimate hands-on science guide book for inquisitive young children. Written by Dr. Christopher Englert, an astrophysics at the University of Glasgow, Destination space takes kids on an exhilarating ride through deep space. Along this incredible journey of discovery, and accompanied by five space cadets, children learn fascinating facts about the solar system, planets, stars, comets and galaxies – both our own and those far, far away. 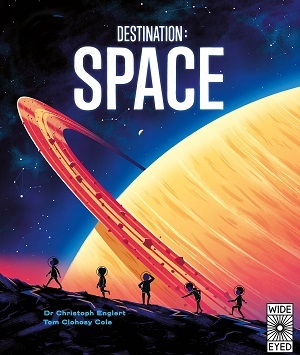 Destination Space’s text presents complex concepts in a simple, yet engaging language, while inspiring images by Tom Clohosy Cole inspire children’s awe at the beauty of our universe. #4 What’s the Point of Being Green? 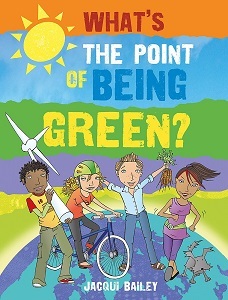 What’s the Point of Being Green encourages children to be more aware of how the way we live impacts our environment. Among the topics explored in the book are climate, fossil fuels, and recycling. After reading this book, children will come away with a deeper understanding of how they can live a more eco-friendly lifestyle. 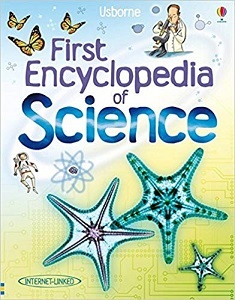 The First Encyclopedia of Science is a fantastic resource for school projects. Written by Jessica Greenwell, the book introduces readers as young as 5 years of age to the fascinating world of science. Among the topics covered in the book are atoms, gravity, the human body and magnetism. Children will also find answers to questions like, “Why do things float?” and “What happens to the food we eat?” The book’s simple text is accompanied by illustrations, photographs, fun science activities and free downloadable images. See Inside Planet Earth invites children ages 5 and up to explore different aspects of our planet – from it’s location in our solar system to the geography found on its surface. The book features double page spreads on the deserts, mountains and icy landscapes of Earth. children can open a flap on each page to reveal scientific facts and information on natural history. Also included in the book is a feature on climate change. 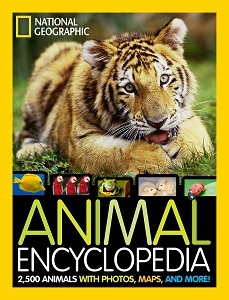 The Animal Encyclopedia by National Geographic contains information about 2,500 species of animals along with stunning photographs, maps, trivia and more. The book is divided into thematic spreads that take young readers on an incredible exploration of the animal kingdom. Kids will learn about the habitats, life cycle, defences, movement, and migration of each animal and learn about endangered animals and conservation. The encyclopedia also features FROM-THE-FIELD reports – features written by National Geographic explorers about the animals they study. 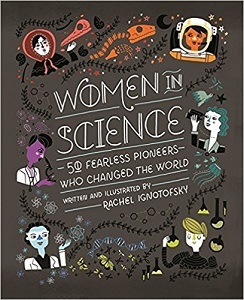 Rachel Ignotofsky’s Women in Science is a beautifully illustrated celebration of 50 trailblazing women in the STEM fields of science – science, technology, engineering and mathematics. Among the inspiring women profiled in the book are: Grace Hopper, the mother of computer programming; Katherine Johnson, the mathematician who calculated Apollo 11’s trajectory on its mission to the moon; and Nobel Prize recipient Maria Goeppert-Meyer. Each double page spread features information about the women’s achievements, along with timelines, infographics, statistics, and quotes. Everything Weather is part of the Everything Series by National Geographic. 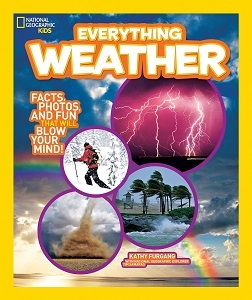 Written by Kathy Furgang, the book is filled to the brim with fun weather facts, stunning photographs, and interesting features on natural phenomena like earthquakes, hurricanes and tornadoes. Everything Weather’s pages are colourful, and its text accessible and engaging. This is a title that should be on the bookshelf of any child who is curious about the weather and all of its mysteries. 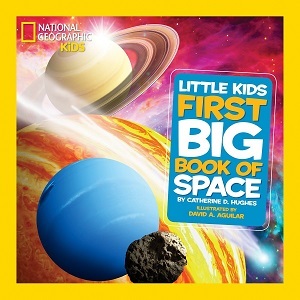 Little Kids First Big Book of Space is part of National Geographic’s First Big Book Series. Written by Catherine D. Hughes and illustrated by David Aguilar, the book explains basic concepts relating to the earth, moon, sun, solar system and galaxy. children will learn all about planets, comets, stars and even black holes. The book begins with concepts that are already familiar to children and introduces more complex concepts in later chapters. The final chapter focuses on space exploration (rockets, the International Space Station, etc.). This book is packed with fun experiments that are designed to teach kids about the world around them – from the human body to the laws of attraction, energy and force. It is written by Holly Homer and Rachel Miller, the authors of the bestselling book 101 Kids Activities That are the Bestest, Funnest Ever! and the popular website KidsActivitiesBlog.com. Among the 101 fun experiments included in the book are building terrariums, making pickles glow and creating magnetic mud. 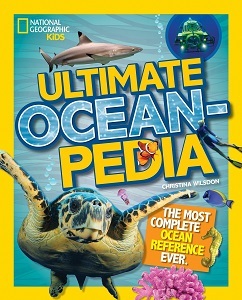 This reference book is packed with amazing facts, colourful photographs and stunning illustrations depicting the underwater world. Children will learn all about the ecology, creatures and science of our oceans. They’ll also read about conservation efforts and how climate and storms affect not only our oceans, but the entire world. 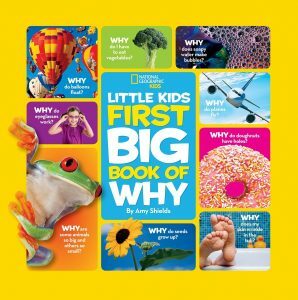 National Geographic’s Little Kids first big book of why is an invaluable reference for parents of pre-schoolers. the book contains age-appropriate information on a wide array of topics based on sound educational findings. Kids will learn what makes a car move, how cost dough turns into a crispy cookie, and what the doctor sees in your throat. Topics are accompanied by recipes, crafts, games and activities that offer hours of entertainment for young children. 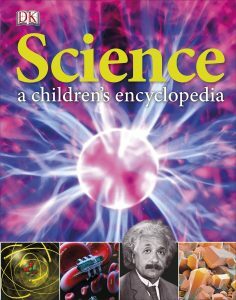 Science, a children’s Encyclopedia is a visual encyclopedia that delves into topics in every field of science, including biology, chemistry, and physics. the information in this book is presented in a clear, brightly-illustrated manner that makes learning complex concepts more fun. Children will learn science basics like the Periodic Table and explore concepts relating to everything from electricity to gravity. 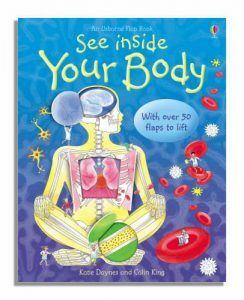 See Inside Your Body gives children a look at the inner mechanisms of the human body. Written in an engaging, humorous tone, the book contains more than fifty flaps that reveal extra information about each of the body’s major organs. The text is accompanied by colourful illustrations and informative diagrams. Both educational and engaging, See Inside of Your body is a great way to introduce children to the wonders of human biology. 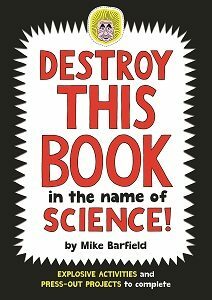 Destroy this book in the Name of Science is an activity-based book written by author, poet, songwriter and cartoonist Mike Barfield. The book is bursting with activities for kids inspired by science – including colouring activities, doodling activities and press-out projects like the Einstein Nodder, Hoop Glider, and Turtle Racer. Best of all, press out projects don’t require expensive crafting supplies. 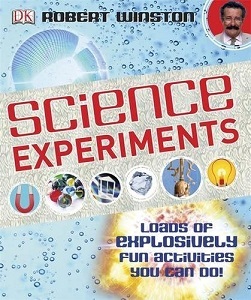 The book contains almost everything you need to provide hours of entertainment to any child who is interested in science. Science in Seconds for Kids contains over 100 experiments that can be completed in under ten minutes. The activities help children learn about everything from how submarines stay submerged to why eggs are oval-shaped. 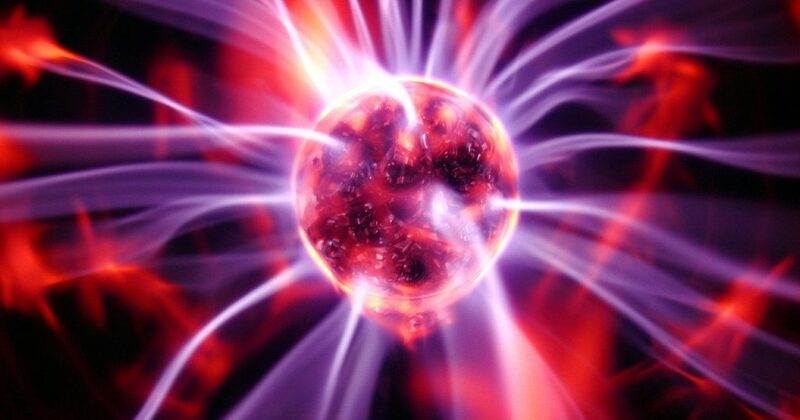 Among the subject areas covered by the book are animals, energy, gravity, light, magnetism and the human body. Experiments are suitable for children between the ages of 8 to 12. 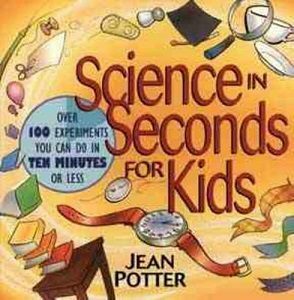 Science in Seconds was written by Jean Potter, who served as Assistant Secretary for Elementary and Secondary Education. 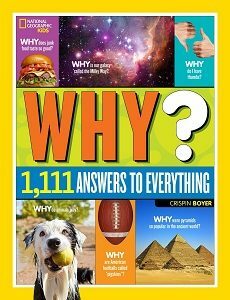 Okay, so you may not be able to find the answers to absolutely everything in this book, but there are enough answers in this book – 1,111 of them, in fact – to satisfy inquiring young minds who are curious about a wide array of topics. Children will learn the answers to questions like “Why doesn’t Earth float off into space?” And ‘Why is snot yellow?” Each answer includes extra fun facts in the form of explorer profiles, top ten lists and fun activities to try at home. Hello, World! Solar System is part of the Hello, World! Series of books, which is designed to help parents explain nonfiction concepts to very young children in a simple, accessible way. Written by Jill McDonald, Hello, World! 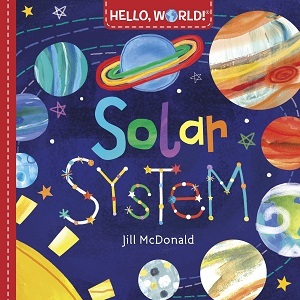 Solar System delves into various topics you can teach toddlers. Such as the shapes and colours of the sun, the moon, the stars and the planets. Each scientific concept in the book is accompanied by bright illustrations that capture the imaginations of very young children and inspire them to explore the world around them. 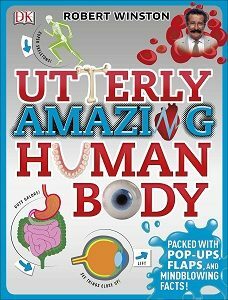 Utterly Amazing Human Body features beautiful pop-up images and lift-up flaps that help children learn about the inner workings of the human body. The book also contains activities for kids to try at home. Discover why the human brain is more complex than a computer processor and how the skeleton holds the human body up. Utterly Amazing Human Body is written for children ages 5 to 9 who are curious about how the human body works. 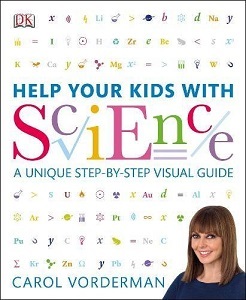 If you’re a parent who gets stressed out about having to help your kids with their science homework, this is the book for you. Help Your Kids with Science covers the basics of important fields of science like biology, chemistry and physics. The book also contains a glossary of science terms and symbols. Sections are colour coded for easy reference. Keeping a copy of this book on hand will ensure you’ll never have to pay a science tutor to help your kids with their school work. Teach children about the concept of time with this simple, yet beautifully illustrated book by Bruce Koscielniak. 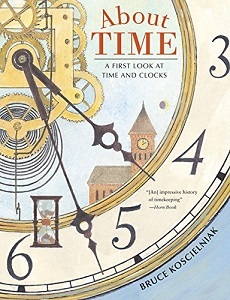 About time contains fascinating information on the history of measuring time – from the creation of ancient time-telling tools to the development of the modern clocks we use today. Koscielniak’s text is informative, yet easy to understand, and the accompanying pictures help young readers more easily visualize different concepts related to time and its measurement. How big is the world’s largest moth? How about the smallest fish in the world, a tiger, or the jaw span of a saltwater crocodile? 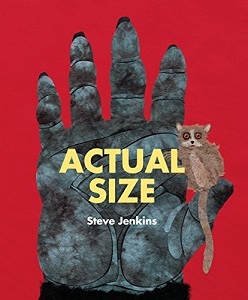 Children will find the answers to these, and other questions in stunning detail in Steve Jenkins’ book, Actual Size. The book depicts creatures both small and large at their actual size, either whole or in part. Pages fold out to reveal stunning life-sized renderings of different animals. This space encyclopedia is overflowing with amazing images and mind-blowing facts about phenomena like black holes, supernovas, comets, planets and stars. The book features beautiful CGI imagery and realistic cutaways to illustrate each topic in impressive depth and detail. The text, written by British-American artist David Macaulay, is humorous, engaging and easy to understand. 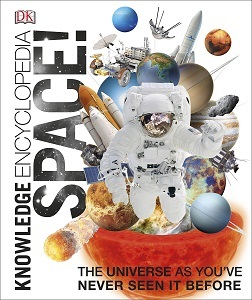 Children will learn up-to-date facts about rockets, space suits and space stations, and discover the latest NASA images in this enthralling and entertaining encyclopedia. 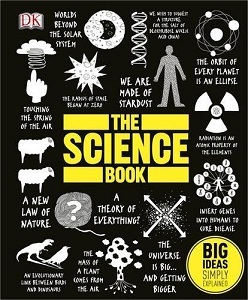 The Science Book: Big Ideas Simply Explained by DK introduces young readers to over 80 scientific theories and ideas among the fields of astronomy, biology, chemistry, geology, mathematics and physics. Children will learn all about the history of science with the aid of interesting quotes, colourful graphics, and step-by-step mind maps. Whether you have a budding scientist on your hands or simply a child who is curious about scientific topics, The Science Book is a fantastic resource for anything from evolution to genetic engineering. The Best 25 Science Books for Children was compiled by the team here at Gifted Geek. We think our list is a great resource for teachers, parents and children who want to know more about the world and universe around us.